Chef's international experience informs "eclectic cuisine"
ENSENADA.-"Mantou" are a type of Chinese steamed bun and a carb staple of northern China, where wheat is more readily available than the rice grown and consumed in the south. It's believed that the Mongols introduced the meat-filled version to the region during the Yuan dynasty in the 13th century. While affable Mantou Gastropub owner and chef Omar Armas may lack the surly demeanor and tableside manner of the typical Mongol, he should be given no less credit as a global culinary explorer who brought mantou  the dish and its namesake restaurant  from northern China to Baja California in early 2016. 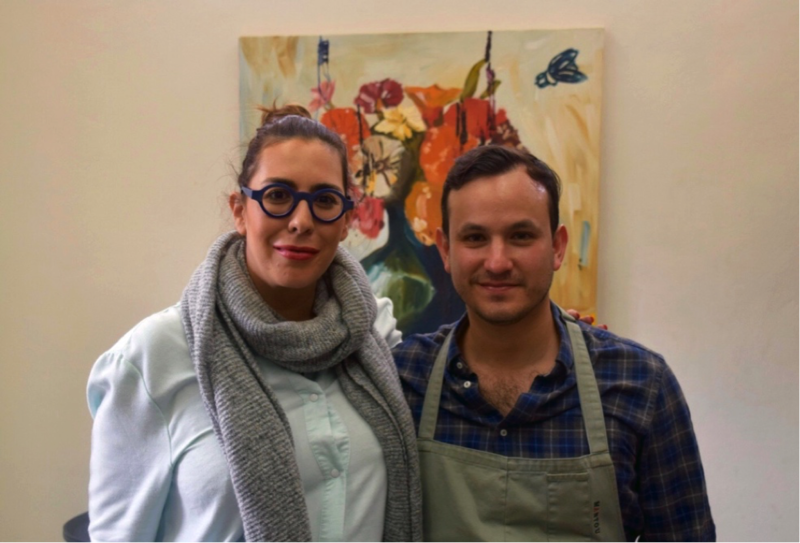 Chef Armas' globetrotting began after a year at the Tijuana Culinary Arts School. "I left my home in Baja California to study in Florence. That's where my interest in cooking really began," he explained during a recent visit. "The Italians really put a lot of love into their pastas. That's why it's the number one comfort food in the world." Armas discovered mantou steamed buns while cooking in northern China via the Mayan Riviera. "One of my first jobs was as a cook at the Banyan Tree Hotels in Playa del Carmen. In 2008, tourism dried up due to the global recession, so I accepted a colleague's offer to work with him in the restaurant of a new hotel in Macau." Driven in part by a feeling of isolation  Armas confessed that it was difficult for any immigrant to make friends in provincial northern China  the chef headed west and began a circulation in restaurants throughout Europe and the Americas. During this period, he worked with Quiquie Dacosta in Spain, Alex Atala in Brazil, and David Chang in New York. The menu at Mantou, which Armas refers to as "eclectic cuisine and fun comfort food", is a reflection of the chef's time spent in these international kitchens. "We call the cuisine eclectic, as it's influenced by many cultures. Chinese, Mexican, French. Everything we serve is made fresh and by hand in-house." Four types of mantou are on offer at the restaurant. 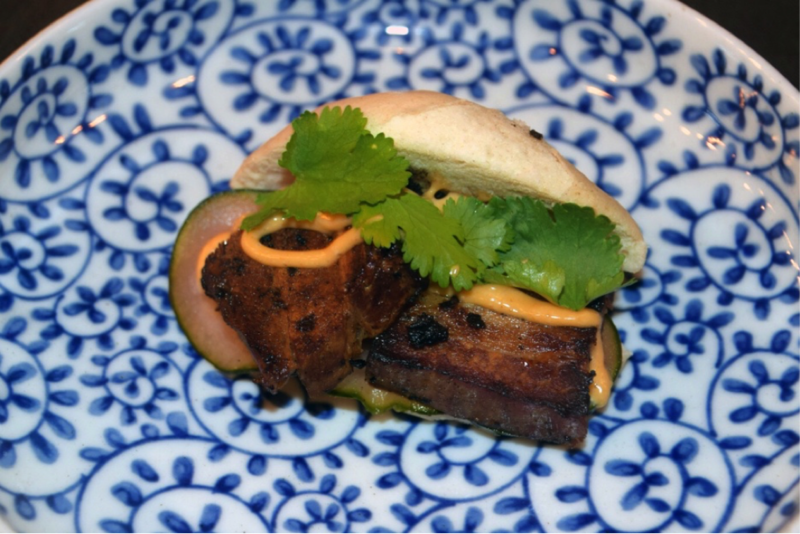 The steamed buns are filled with locally sourced ingredients, such as grilled octopus in cilantro vinaigrette and smoked pork belly in chipotle mayonnaise. The dense, naturally sweet and succulent pork belly is cured for 24 hours and then smoked in-house. Though small plates also span the globe, many of the offerings stick close to home. You can taste the influence of Armas' time spent in Mexico City with Enrique Olvera at Pujol, and enjoy his take on some local Baja California classics. 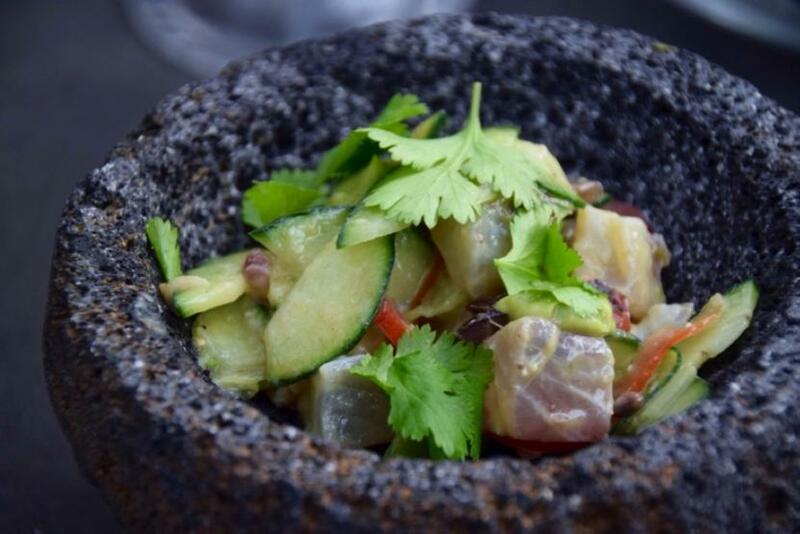 The savory Ceviche Mantou is served in a molcajete and features lightly smoked local yellowtail, redolent of the sea with a slight, favorable hint of mesquite smoke. 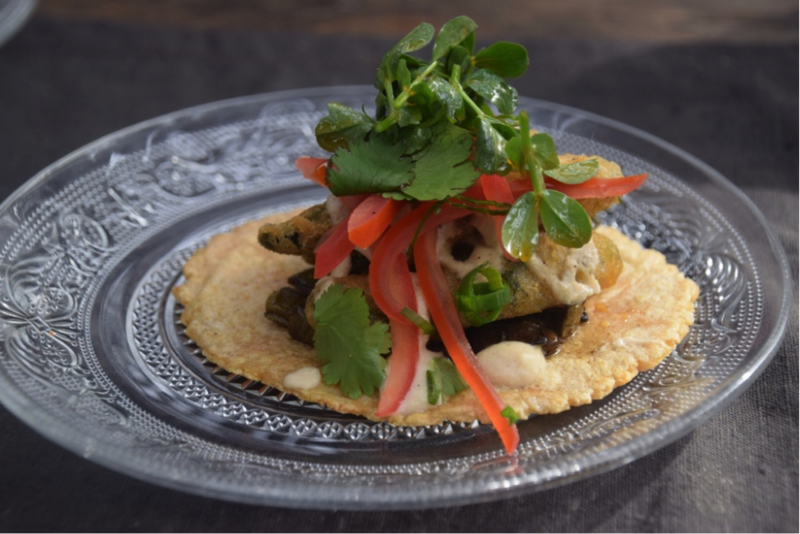 The taco of flor de calabaza (squash blossom) with nopal tatemado (burnt cactus paddle) finished with aioli, pickled onion, and chili morita is a revelation. A central Mexican delicacy is lightly fried in Baja California style beer batter and thoughtfully arranged with the other ingredients on a house-made tortilla, creating a singularly satisfying dish. Armas' first love, Italy, is represented on the menu by three classic tagliatelle pasta dishes, served with local proteins from both sea and farm. Though not currently on the menu, it was Armas' duck carpaccio that won first place for chef and restaurant at the 2016 Sabor de Baja culinary competition. The chef really gets excited about one entree in particular, the 18-ounce New York strip. "It took a year to find beef that I'd feel good serving," he disclosed. "I finally found it close to home in Mexicali. I went to the ranch, tried it, and it was beautiful." 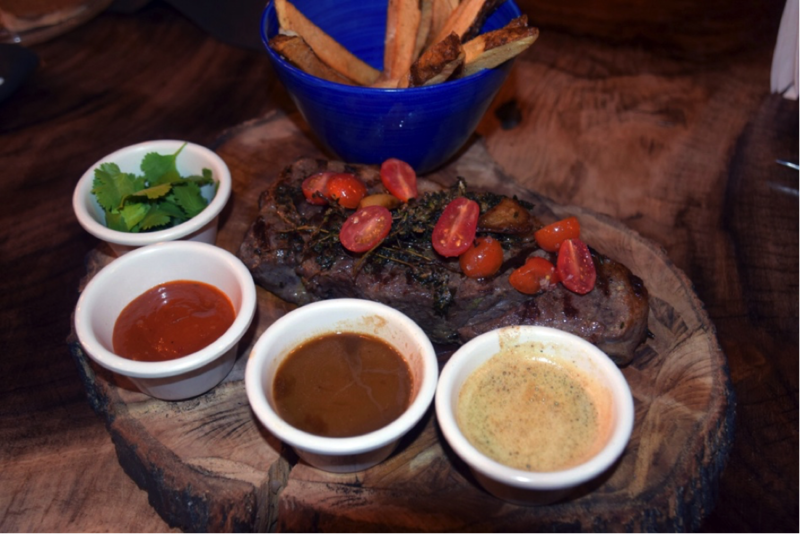 The very tender steak is grilled with tomato, thyme, and garlic and served with frites and three very good sauces in which to dip meat and potato: a 3-day bone marrow reduction, a broth and raw butter blend, and Mantou's house-made ketchup. Pairing wines with Mantou's dishes introduces another influence and taste  France. Mantou is one of the first Baja California restaurants to offer young wines from Bodegas Henri Lurton, the esteemed Bordeaux winemaker who recently began production in nearby Valle San Vicente. The connection here is Armas' fiancée, Lourdes Martinez Ojeda, who worked with Lurton to bring modern French winemaking techniques to Baja California's wine country. Both food and wine can be enjoyed on Mantou's spacious, rustic patio, or in their smaller dining room. The restaurant is located about 20 yards back from Avenida Adolfo López Mateos, providing ample parking and a tranquil dining experience. Reservations are recommended, but not required. We were invited by chef Omar Armas to visit Mantou Gastro Pub, and enjoyed complimentary food and wine as the guests of our generous hosts. No compensation was received for writing this article, and all opinions are those of the author  who would happily spend his own pesos at Mantou in the future. San Diego-based culture, food and travel journalist W. Scott Koenig has explored Mexico and Baja California for over two decades. He founded AGringoInMexico.com in 2012 to report on south of the border destinations, food, culture and adventure. The website has since become an invaluable source of information on the burgeoning food and culture scene in Baja California, as well as the wider scene throughout Mexico. Visit Scott's websites and social media via the links, below. A Gringo in Mexico, FoodieHub, Facebook, Twitter, Instagram, Pinterest.